MADURAI: It is unconstitutional on the part of the State to insist that Plus Two students ought to have taken Tamil as first language to join paramedical courses, the Madras High Court has ruled. Allowing a writ petition filed in the Madurai Bench by a minor girl from Kanyakumari district, Justice S. Manikumar struck down paragraph 4.3 in the prospectus of paramedical courses for academic year 2008-09. The Judge held that insisting on Tamil as first language was in violation of Article 29 (2) of the Constitution, which states that no citizen shall be denied admission to educational institutions on the ground of religion, race, caste or language. The right to life and dignity could not be attained unless it was accompanied by the right to education. Therefore, the State was obligated to make provisions to all citizens to pursue education irrespective of their religion, race, caste and language. If those who had taken Tamil as first language in qualifying examination alone were to be admitted to paramedical courses, it would amount to 100 per cent reservation, leading to an unfavourable bias towards one section of students, he said. “What cannot be done by way of legislation i.e., restraining admission on the ground of language, cannot be done by way issuing an executive order or framing guidelines in the form of prospectus for admission to educational institutions,” he observed. Mr. Justice Manikumar rejected the government’s contention that it insisted on Tamil as first language because paramedical personnel might have to work in government hospitals where they would have to converse with patients in the regional language. He agreed with petitioner’s counsel, K.N. 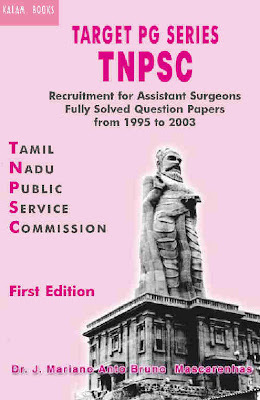 Thambi, that the reasoning was unacceptable because even as per the prospectus, candidates who successfully completed the paramedical courses were not guaranteed any appointment in government service. Petitioner R. Aswathy, represented by her father B. Raghuvaran Nair, said that she applied for admission to the two-year Diploma in Medical Laboratory Course on July 28 last year after securing 139 as against the cut-off mark of 122. The Department of Medical Education did not invite her for counselling on the ground that she had taken Malayalam and not Tamil as the first language in school. Pointing out that the High Court had ordered the Director of Medical Education to keep a seat vacant while admitting the writ petition last year, the Judge directed the authorities to admit the petitioner forthwith to Kanyakumari Medical College.